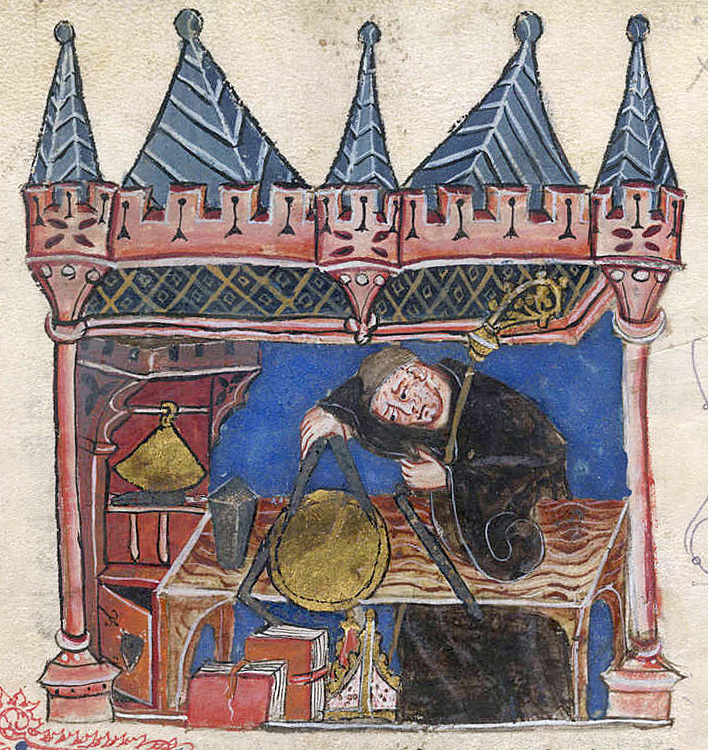 Richard of Wallingford is measuring with a pair of compasses in this 14th-century miniature. This entry was posted in image research, inspiration and tagged clock, illumination, time. Bookmark the permalink.